Kuala Lumpur, February 2017 - Malaysia International Film Festival (MIFFEST) and Malaysia Golden Global Awards (MGGA) are inaugural mega events that set to celebrate the best international and local films and to promote the unique Malaysian arts and cultures to audiences worldwide. Malaysia International Film Festival will run from 28 February 2017 to 4 March 2017 at Nu Sentral Shopping Centre, Kuala Lumpur while the awards presentation will take place on 5 March 2017 at the Arena of Stars, Resorts World Genting. The festival is supported by National Development Corporation Malaysia (FINAS) and several embassies in Malaysia. 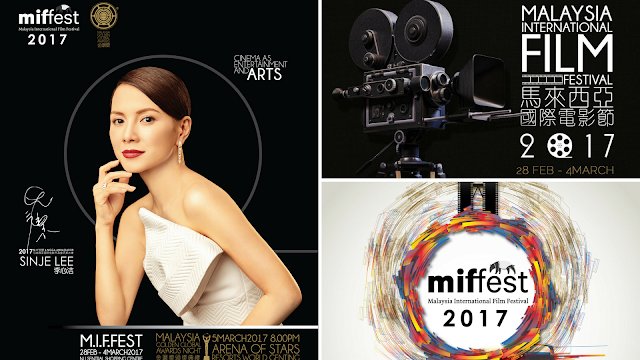 It is an honor to announce that popular Malaysian singer-actress, Ms. SinJe Lee is the ambassador for this mega event. YBhg Dato’ Kamil Othman took part in the festival as the programming director and it is the organizer’s great pleasure to have invited Mr. Kim Dong-ho from South Korea as the jury chairman. Among the jury panel lead by Mr. Kim Dong-ho for this event including Mr. Andreas Dresen from Germany, Mr. Garin Nugroho from Philippines, Prof. Xie Fei from China, Ms. Yeo Yann Yann from Malaysia and Ms. Yeh Jufeng from Taiwan. The TVC for the event will be directed by Mr. KaiLiang Tian, who has numerous experiences in screen playing. He is one of the best screen writer in Malaysia and well known for his role as the writer and deputy director for Hong Kong film "After this our exile". His film was nominated in Taiwan Chinese Golden Horse Award for best drama, best actor and best supporting actor. He has also won best original script in 2007 in Golden Horse Award. The events have received supports from various units. The event is presented by Grandeur Lifestyle; Co-Organized by Qingdao Creative Cultural Film Television Industry; Official Venue:Nu Sentral Shopping Centre and Resorts World Genting; Official Automobile: BMW Wheelcorp Premium; Official Beauty Partner: Lancôme and L'Oréal Professionnel; Official Timepiece: Jaeger-LeCoultre; Official Hotel: Dorsett Kuala Lumpur; Official TV: Astro A-list; Official Webtv: iQIYI; Cinema Partner: MM Cineplex; Official Media Partner: Rocket Entertainment; Official Billboard Partner: Spectrum and more. 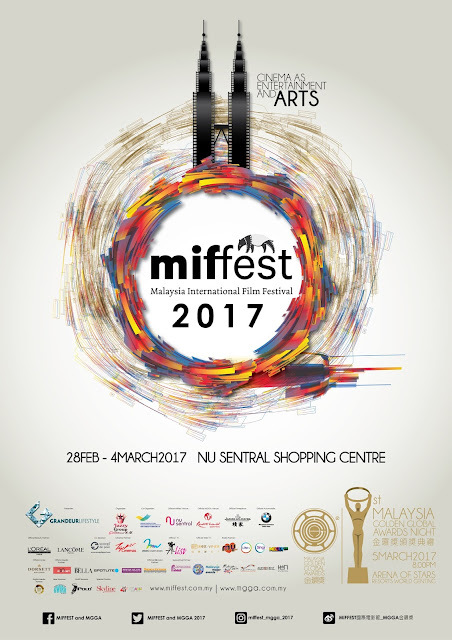 For more information regarding this grand event, do visit http://www.miffest.com.my or http://www.mgga.com.my.